Who is Jesus? Christians believe that he died on the cross for the forgiveness of our Sin. But have you ever wondered why Jesus had to die on the cross? Why God didn't choose another way? Join us for Good Friday experience as we consider the purpose of the cross. Kids experience (Kindergarten & older) in McKenzie Hall. EASTER IS COMING! Celebrating that JESUS is ALIVE! Join us for a fun-filled celebration for ALL AGES. We will celebrate through activities, games, and crafts and share the meaning of Easter. Easter Egg Hunts for children up to 5th grade. FREE. Egg hunts at 10:30 (elementary), 11:00 (preschool and younger) and 11:30 (all ages). 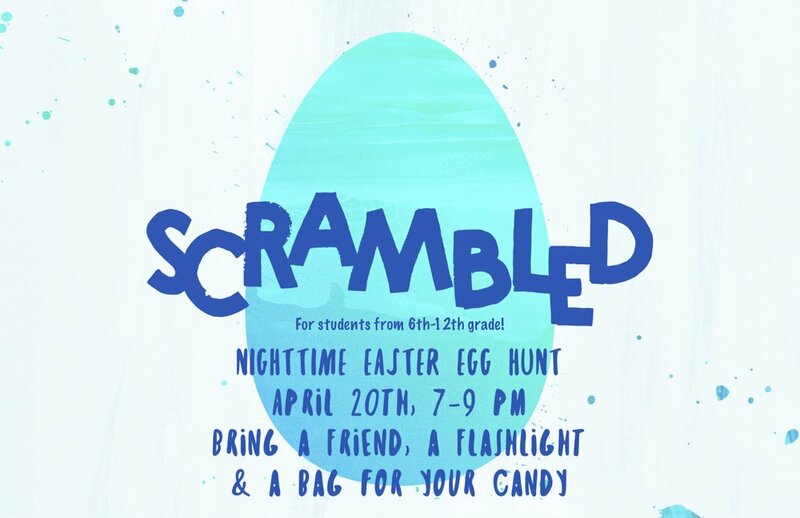 A night time Easter egg hunt and games for Middle & High Schoolers! Bring a friend, a bag for your candy and a flashlight (More info from Katie or Andy). At the heart of Christianity is a person and an event. The person is Jesus and the event is his death and resurrection. 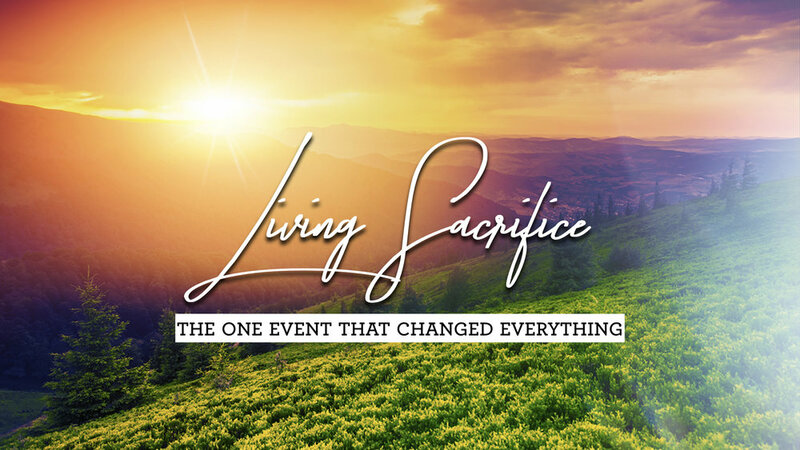 Come celebrate Christ's victory over death and reflect on the incredible news at the heart of the Christian faith. Easter Services | No Rolling Sunday | Two one-hour blocks | 9 and 10:15am | Nursery is open for Birth to 3 years old. Preschool age and older children are invited to join us in the sanctuary for an all ages worship experience at the 10:15am service.